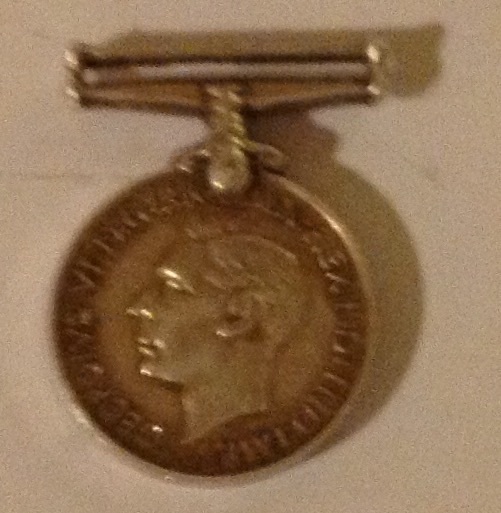 The rear of the medal has space for the title of the event to be engraved and the recipient: This example does not appear to be complete as it just has the date, 1956, and the title ‘Lord Lieuts’. This suggests it was intended to be used as a prize in a shooting competition supported by the Lord Lieutenant of a county but it has clearly never been issued as the name of a winner is not included on the rear. This entry was posted in British Army, Medals, Post WW2 on November 19, 2018 by hatchfive. Continuing our slow and steady survey of British WW2 campaign medals, tonight we come to the Italy Star: If you have read the posts on the 1939-45 Star and the France and Germany Star you will be familiar with the design of this medal, here it is just the ribbon and wording on the star that have changes, with this medal saying (logically enough) ‘THE ITALY STAR’: The ribbon is striped red-white-green-white-red, the colours of the Italian flag: The Italy Star was instituted by the United Kingdom in May 1945 for award to those who had served in operations in Sicily or Italy during the Italian Campaign, from the capture of Pantellaria on 11 June 1943 to the end of active hostilities in Europe on 8 May 1945, both dates inclusive. The qualifying sea areas for the award of the Italy Star were the Mediterranean Command, the Aegean, and Albanian and Cretan Waters between 11 June 1943 and 8 May 1945 inclusive. For service afloat, the qualification requirement was entry into operational service in an operational area in the Mediterranean or in naval operations during the invasion of the South of France, on condition that the six months service requirement for the award of the 1939-1945 Star had been completed. Casual entry into the qualifying sea areas which was not directly connected with actual operations, service in Merchant Navy vessels landing troops or supplies at ports in North Africa, Palestine, Syria and in Cyprus, or service in vessels at ports in Spain, the Balearic Islands and Turkey east of 30° East, were not regarded as qualifying service for the Italy Star. The award of a gallantry medal or Mention in Dispatches qualified the recipient for the award of the Italy Star, regardless of service duration. Personnel whose qualifying service period was terminated prematurely by their death or disability due to service were awarded the Star. Certain special conditions applied governing the award of the Italy Star to those Naval personnel who entered operational service less than six months before the end of the qualifying period. Those who entered operational service in the qualifying area on or after 10 November 1944, were awarded the Italy Star by entry into operational service. In such cases, however, the 1939-1945 Star could not be awarded for service of less than 180 days. Aegean from 11 June 1943 to 8 May 1945. Corsica from 11 June to 4 October 1943. Dodecanese from 11 June 1943 to 8 May 1945. Greece from 11 June 1943 to 8 May 1945. Italy, including Elba, from 11 June 1943 to 8 May 1945. Pantellaria on 11 June 1943. Sardinia from 11 June to 19 September 1943. Sicily from 11 June to 17 August 1943. Yugoslavia from 11 June 1943 to 8 May 1945. Air crew who flew on operations against the enemy in the Mediterranean theatre, or over Europe from bases in the Mediterranean area, had no prior time qualification and qualified by an operational sortie. The Italy Star could not, however, be awarded to air crew based elsewhere than in the Mediterranean area. The qualification for flying personnel posted or employed on air transport or ferrying duties was at least three landings in any of the qualifying areas on or during the stipulated dates or periods. 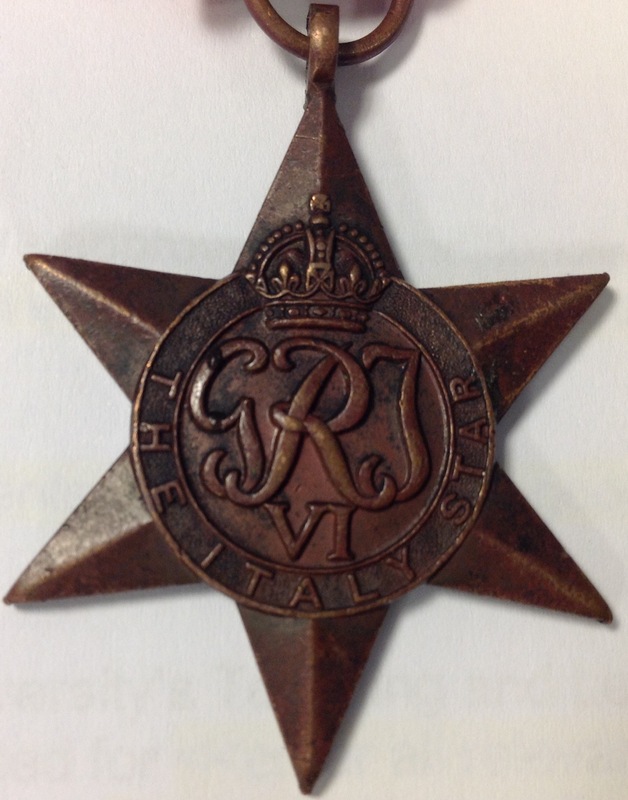 Army personnel who entered Austrian territory during the closing stages of hostilities in Europe were eligible for the Italy Star, but not for the France and Germany Star. Similarly, flights to Europe from bases in the Mediterranean area during the period from 11 July 1943 to 8 May 1945 were qualification for the Italy Star, but not for the France and Germany Star. This entry was posted in British Army, Medals, WW2 on December 23, 2016 by hatchfive. Last year we looked at the British Defence Medal here, a similar medal was issued in India for those personnel serving three years in a non-combat position. The medal is made of cupro-nickel, 36mm in diameter: The medal was instituted on 6 June 1946 and awarded for service between 3 September 1939 and 2 September 1945. 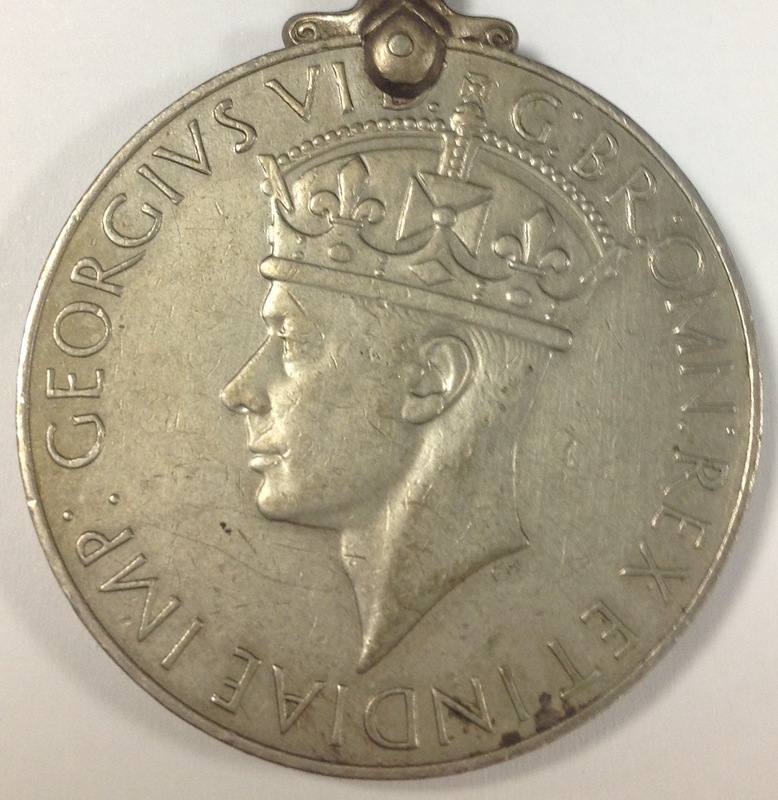 The obverse has the legend “GEORGIVS VI D:G:BR:OMN:REX ET INDIAE IMP.” (George VI by the grace of God King of Great Britain and Emperor of India) and the crowned effigy of King George VI: On the reverse it shows a relief map of India and the words “INDIA” and “1939-45”: The ribbon represented the colours of the Order of the Star of India and the Order of the Indian Empire with stripes in light and dark blue: Co-incidentally the same colours were used for the roundels of RAF and Empire aircraft in the Pacific theatre. The medal was awarded to British and Indian officers, warrant officers and other ranks of the Indian Forces and Indian Civil Defence Service. 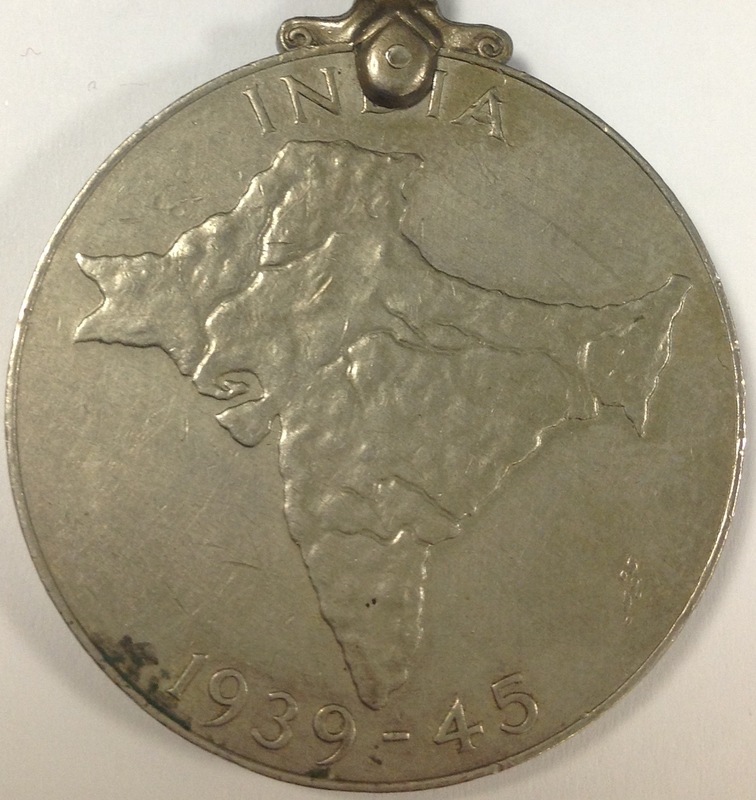 Those eligible for the medal included enrolled non-combatants and civilians in Military employ and Emergency Commissioned Officers and British other ranks of either the British or Indian Army, providing that they resided in India prior to 3 September 1939. 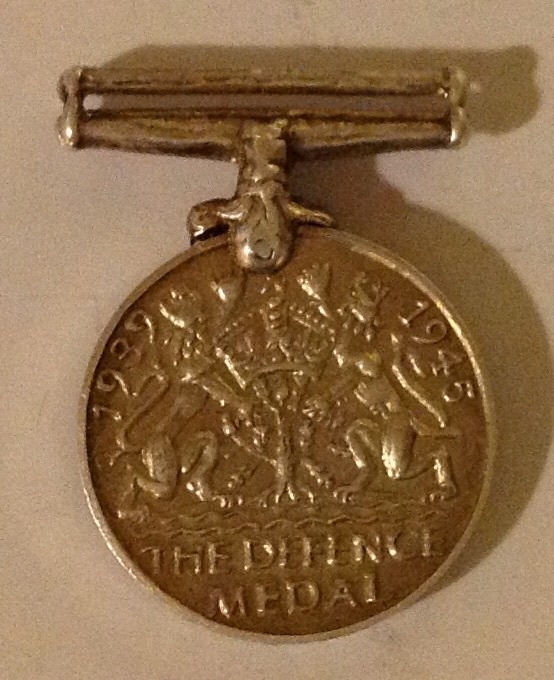 It was not to be awarded to those who qualified for the Defence Medal. This entry was posted in India, Medals, WW2 on November 29, 2016 by hatchfive. Tonight, after a gap of quite a few months, we look at another campaign medal from the Second World War, in this case the 1939-45 star: The design of the star exactly mirrors that of the France and Germany Star we looked at here, but the scroll reads ‘The 1939-1945 Star’: The ribbon has equal bands of dark blue, light blue and red: These represent the Royal Navy, Royal Air force and Army, each band is the same width to represent the equal contribution of each force, as with all these medals, the ribbon was designed by George VI. 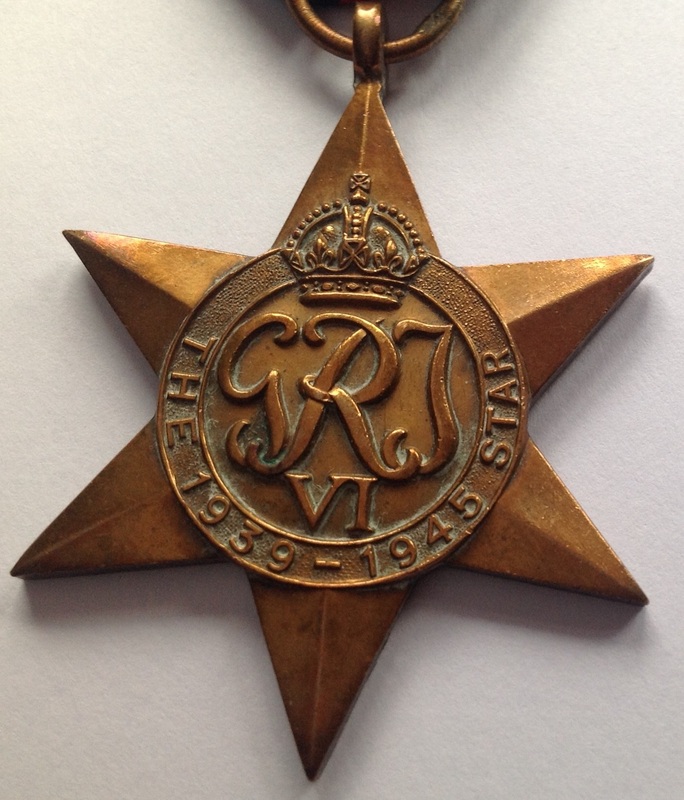 The 1939–1945 Star was awarded for any period of operational service overseas between 3 September 1939 and either 8 May 1945 in Europe or 2 September 1945 in the Far East theatre. The broad criteria were 180 days of service between these dates, with more specific criteria depending on service arm. Air Force air crew qualified after 60 days of service in an operational unit, including at least one operational sortie. The 1939-45 Star was also awarded to crews of transport aircraft that flew over certain specified routes. Air crew of fighter aircraft engaged in the Battle of Britain were also awarded the Battle of Britain Clasp, while air crew of bomber aircraft who participated in at least one operational sortie in a Bomber Command operational unit were awarded the Bomber Command Clasp in 2013. This entry was posted in Latest Pick Ups, Medals, WW2 on January 6, 2016 by hatchfive. These are half the size of the insignia, which they represent and on ribands 29mm long, are worn in the same manner as full-sized medals. With some exceptions, as detailed in JSP 761, miniatures of all badges of orders and decorations are worn with miniature medals. Except as in sub para d, miniature medals are worn with number 2A/2B Mess Dress/Undress on the lapel of the mess jacket. They may extend over the lapel towards the shoulder but not beyond the lapel on the inner side. The position on RM officers’ mess jackets is: Colonels and above, 102mm below the neck point of the shoulder seam; other officers 19mm below the Globe and laurel badge. Until replaced by the new mess dress the officers’ capes should be level with the top of the rank badge. Miniature Medals. Miniature medals may be worn court mounted or in an ordinary style. 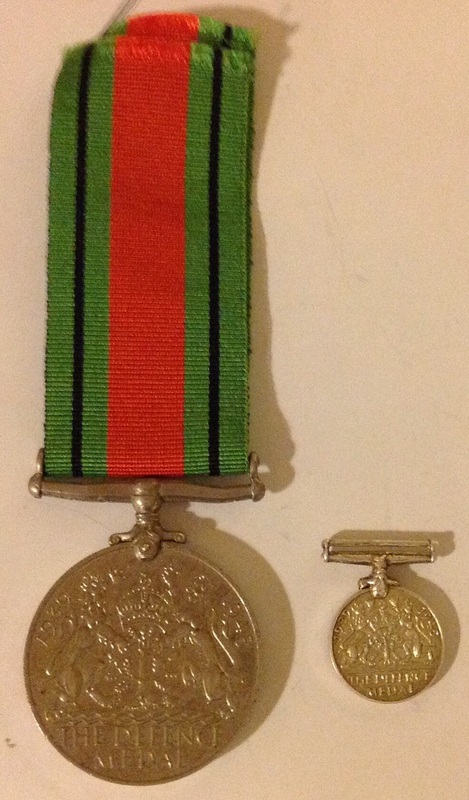 In both instances, medals are to be suspended from ribands of a width of 16mm. The length of the brooch should not normally exceed 14.7cm i.e. nine miniatures not overlapped but a larger number of miniatures may necessitate a longer brooch to avoid overlapping. If the number of miniatures can not be sensibly fitted to a longer brooch, then miniatures may be overlapped. At no time should more than two-thirds of any ribbon be covered by another; the overlap of each ribbon should be equal. When court mounted, the medal is suspended from a ribbon so as to allow the centre of a round Medal to be cut in half by the backing, ie the nose of the impression of a sovereign’s head on a Medal should rest on the bottom edge of the backing. The bottom edges of miniatures should be aligned and not exceed 57mm from the top of the riband to the lowest point of the miniature. The lengths of each individual riband will consequently vary according to the height of each order badge, decoration and medal. The number of clasps, bars or emblems attached to the riband of any miniature may require that ribands across the whole brooch be of additional length. Sets of miniatures are illustrated at Annex A to Section 3. 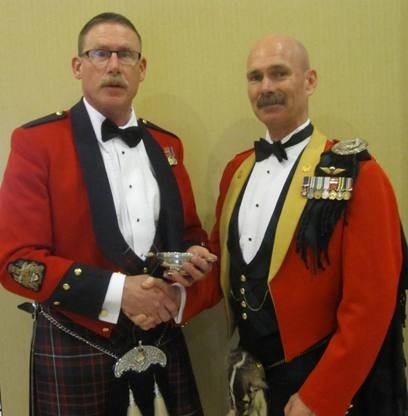 The wearing of miniature medals is also commonplace in commonwealth countries, as demonstrated by these Canadian’s from the Calgarry Highlanders and Stormont, Dundass & Glengarry Highlanders who are both wearing miniature medals with their mess dress: There seems to be very little interest in miniature medals from collectors, and as such they are very cheap compared to full size medals, with nice groupings going for a fraction of the price of their full size counterparts. This entry was posted in Home Front, Latest Pick Ups, Medals, WW2 on October 8, 2015 by hatchfive. In the past we have looked at a number of Second World War medals, tonight we turn to an example from the First World War and consider the Victory Medal. 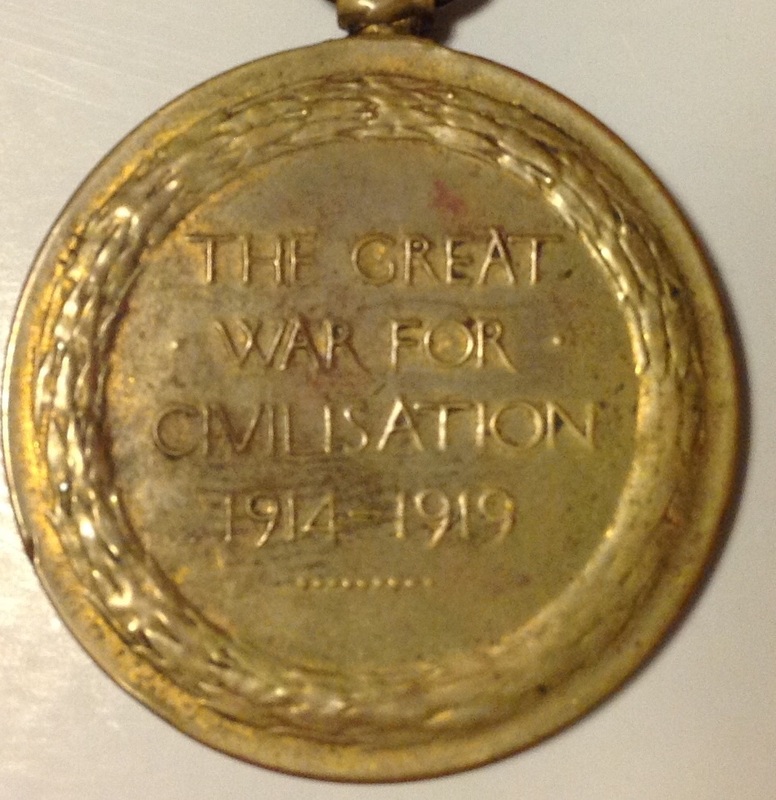 This medal was issued in huge numbers- an estimated 6,334,522 were distributed, this makes it a very common medal but as with everything else WW1 related the prices have risen sharply in the last few years with the centenary of the outbreak of the conflict. 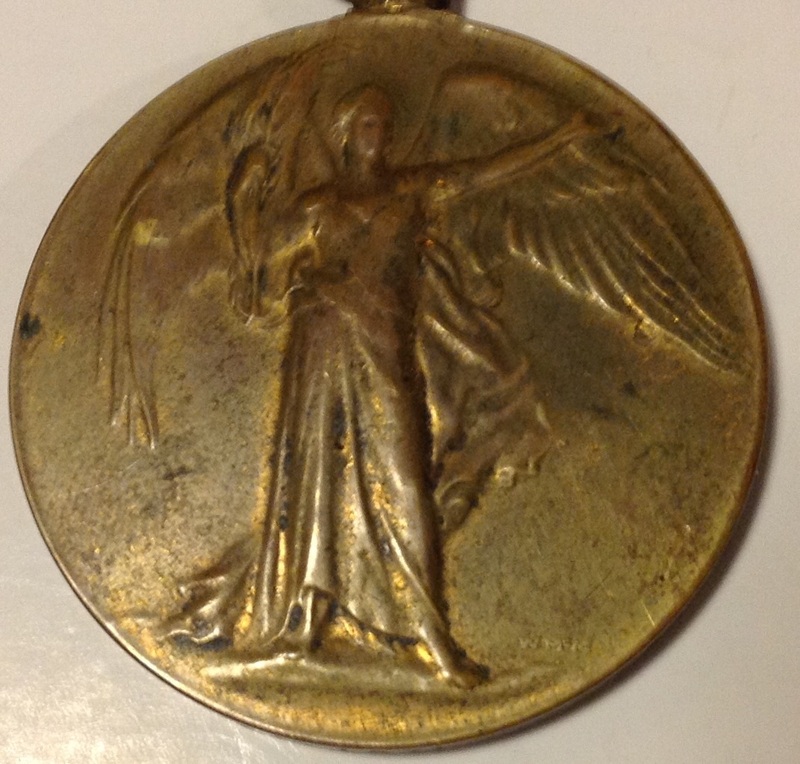 The medal itself is a conventional circular copper disc lacquered in bronze, hanging from a ring which attaches it to the ribbon: The obverse of the medal has a winged figure of Victory with her left arm extended and a palm in her right: The reverse has the legend “THE GREAT / WAR FOR / CIVILISATION / 1914-1919”: The ribbon the medal hangs from consists of two rainbows going from violet at the edge to red where they meet in the centre: Unlike medals issued in WW2 those distributed after the end of the Great War have the recipients name, regiment and service number engraved around the edge: This example was issued to Gunner T Taylor, Royal Artillery. 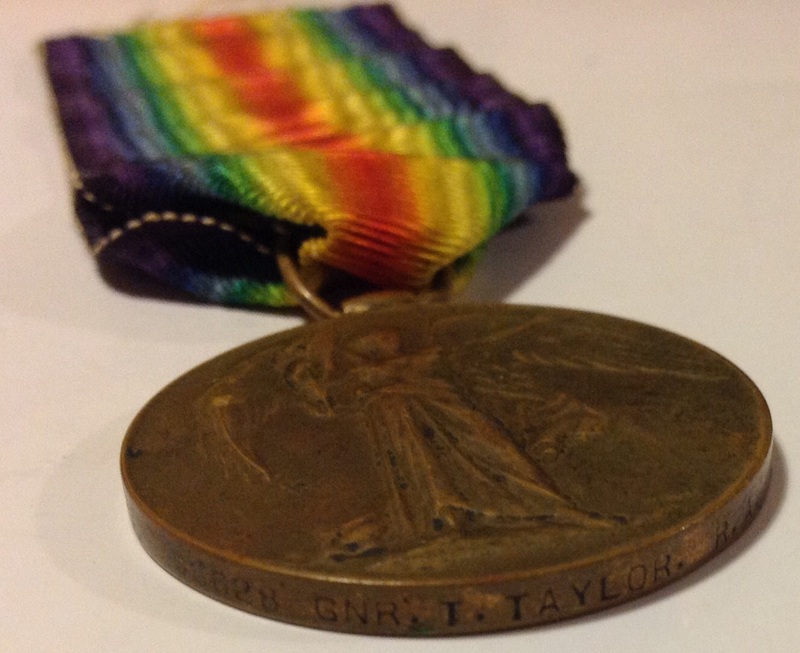 Sadly the other medals in this soldier’s grouping have gone astray over the years; the Victory Medal was never issued alone and most frequently was issued with the War medal and/or the 1914-15 Star. To qualify for the Victory medal one had to be mobilised by Britain, in any service and have entered a theatre of war between 5 August 1914 and 11 November 1918. Women qualified for this and the earlier two medals, for service in nursing homes and other auxiliary forces. It was also awarded to members of the British Naval mission to Russia 1919 – 1920 and for mine clearance in the North Sea between 11 November 1918 and 30 November 1919. The Victory Medal is perhaps unique in sharing common characteristics with the Victory Medals of the other allied forces in WW1. Belgium, Brazil, Cuba, Czechoslovakia, France, Greece, Italy, Japan, Portugal, Romania, Siam, Union of South Africa and the USA all adopted medals with the same ribbon and in most cases a version of winged Victory on the obverse, albeit of different designs. This entry was posted in British Army, Medals, WW1 on August 23, 2015 by hatchfive.